Endon presents the Saul line of LED spotlights. 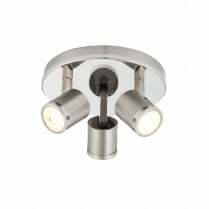 The range comprises a single spot, three spot cluster and 4 spot bar fitting. 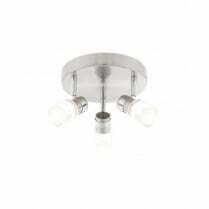 Each fitting is finished in bright nickel and each articulated light has a bubbled acrylic diffuser. 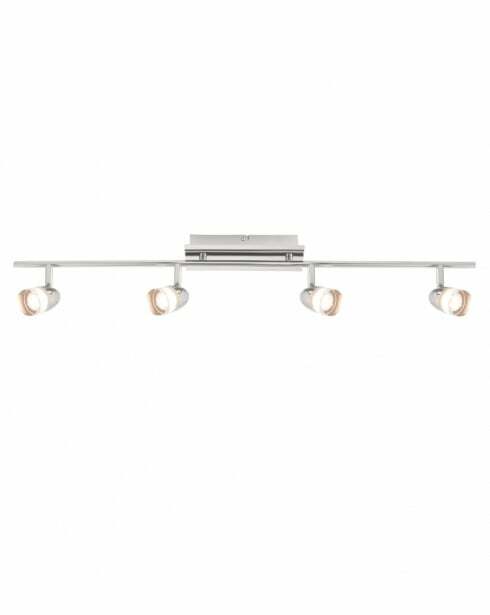 The 73885 is a four light bar fitting. 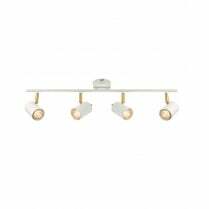 The integrated LEDs produce 1000 lumens of warm white (3000K) light. 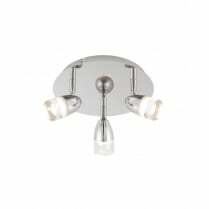 The LED module is not replaceable. 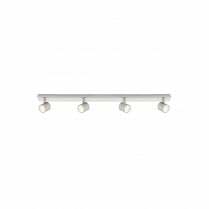 The Saul four spot bar has a length of 80cm, is 7.5cm wide, and projects 18.5cm from the ceiling.